The dog days of summer can often be a slower time for small businesses, unless you’re in a travel-related or back-to-school related business. 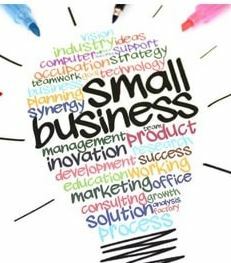 Not every small business has an audience that can use its products and services year-round. But slow times are a great opportunity to catch up and revisit your long-term marketing goals or revive some unfinished marketing projects. 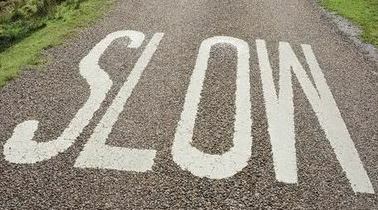 The slow season is also a good time to take a look at the big picture of your marketing and sales process, and make corrections and improvements. Evaluate what part of your business you think needs the most work and allocate a majority of your time to enhancing it. Review your website and purge outdated information and broken links. Make sure your website has plenty of calls-to-action (CTAs) for people to stay in touch with you by subscribing to an email list or a blog. If you haven’t hopped on the blogging bandwagon for your business’s marketing, don’t worry, it’s never too late to get started. Make sure your contact information is up-to-date. Make sure your marketing materials both print and digital, are not only up-to date, but also consistent. Keep an eye on your analytics to fine-tune your online marketing, landing pages, and calls to action. If you have good customer relationships in place, the slow season is also a good time to follow up with your existing customers to see how they’re doing and ask for referrals, remembering to reward them accordingly. Tell customer stories and get testimonials that are detailed and personal, and use the person’s full name if possible. Create compelling content that will speak to your target audience. Stay in touch via your website, email and social media. When considering small business marketing ideas, the first thing you should think about is your audience. Who are they? What do they do? How can you help them do it better? Having adequate knowledge of your target audience helps make your marketing more effective and cost-efficient. Establishing a buyer/user “persona” is vital to understanding your current customers and identifying potential future customers. This information allows you to produce what you need to meet the specific needs of your audience, be it products, services or content. Clickbait and countless sales pitches aren’t the way to gain trust from your network. Instead, make it your goal to reach your audience on a more personal level. Show them you understand them and care about their wants and needs. To develop a good idea of who your customers/users are, you need to conduct market research. The best place to start is with your existing customers/users, and can be garnered from surveys, questionnaires and interviews. If you’re sending these requests out by email, make sure your emails are coming from a recognizable sender name, make sure the subject line tells the reader what’s in the email, and make sure the content is visually appealing with a clear call to action. You can also utilize social media and in-person interviews. Offering a coupon or discount for their participation is a good incentive. Be sure to analyze the data you collect to understand your ideal customer/user so that you’re in a better position to target your advertising campaigns effectively. Additionally, use your website analytics to see where your visitors come from, the keywords they are using to find you, and what they’re doing on the site. This will give you further insights into your buyer/user persona. Knowing your customer/user persona enables you to communicate with them more effectively, which should help you to grow your customer/user base, which in turn will grow your business. For many years, military veterans have become entrepreneurs at a much higher rate than non-veterans. There are a number of military strategies that serve entrepreneurs well, contributing to their successful transition. First and foremost, military training has taught servicemembers to lead with a clear vision and plan. Strong leaders have the right assets and tools in place to build trust and confidence in any situation. A leader should be a visionary and have more foresight than an employee. A leader should have higher grit and tenacity, and be able to endure what the employees can’t. And finally, a leader should have higher endurance and ability to accept and embrace failure. Next comes your team. 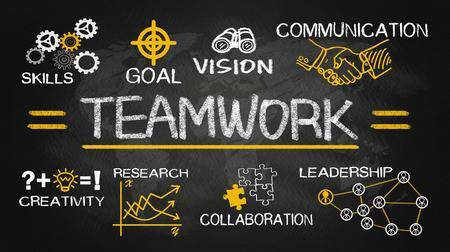 Your team is the lifeline of your business, so it would serve you well to make sure you have the right talent in the right place, and empower them to use their strengths to help your company succeed. The sense of camaraderie will help you through difficult times that are sure to pop up along the way. Know your mission and break that mission down into smaller tactical goals. Keep mission focus at all times, but allow your people to innovate. Chart your financial future. 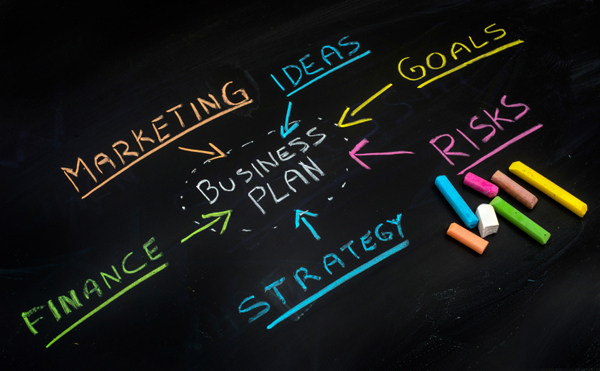 Have a detailed start-up business plan and overhead costs for two years to serve as a cushion. Take advantage of resources available to you such as the SBA’s Boots to Business program for current military personnel, as well as their ReBoot program for veterans who later decide to pursue entrepreneurship. 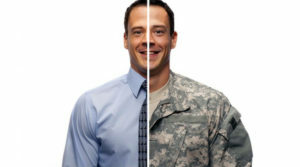 Many veterans transition out of the military with the skills and attributes necessary to succeed as veteran business owners. Often times, the main roadblock for these entrepreneurs is financing their new mission: to become a veteran business owner or a service disabled veteran business owner. Investing in your business operations doesn’t always have to come with a big price tag, as there are some cost-efficient ways to invest in your small business to get it going and growing. Begin by identifying your strengths and weaknesses. Invest in personal growth, so that you can turn those weaknesses into strengths. Take classes. Do your research on the web. Seek out tutorials. Don’t overlook the value of a digital marketing platform. Make sure you have a website. Utilize Facebook, LinkedIn, Google AdWords, Instagram, etc. There are plenty of free resources available to help you navigate these waters. If there are skills that you can’t or don’t want to do, and you don’t have the staff to do them, outsource! Perhaps tax returns, web design and the like are best left in the hands of the experts. You might even be able to barter services. And for those occasions when the work load is on an upswing, don’t rule out freelancers or temporary workers. But when it comes time to assemble a staff, your hiring strategy should be based on talent, not functions. If your team is versatile with diverse talents, they will be better positioned to grow with the business. Identify your business’s core values and build a team aligned with them. Having your values in place will give your business purpose and direction, and will in turn provide a culture for your employees to be proud of. Along with values, don’t underestimate the value of a corporate identity. You want to be your own company, not just a “light’ version of another company. Have a rainy-day reserve account. As a business owner you’re probably thinking, “How in the world can I save for this?” The key is to start small and build up. This safety net will get you through rough times, which are inevitable. Invest the time in writing Standing Operating Procedures, a set of step-by-step instructions to make sure there is a “Bible” for routine operations. Answer what tasks need to done? Who needs to do them? What are the best ways to approach these tasks? If you’re ready to steer your company towards government contracting, there are a few important steps to make sure you follow to increase your chances of success. – Your Taxpayer Identification Number (TIN) and Taxpayer Name associated with your TIN. Review your tax documents from the IRS (such as a 1099 or W-2 form) to find your Taxpayer Name. – Your bank’s routing number, your bank account number, and your bank account type, i.e. checking or savings, to set up Electronic Funds Transfer (EFT). Identify who will be buying your services and research your customer. You can research potential agency customers online to learn about what goods and services they are looking for so you’re able to narrow down which ones to target. Many agencies post their procurement forecasts, identifying what contract requirements they are seeking. Check out www.fbo.gov, an online listing of government contracts that detail all contracts with a value exceeding $25,000. Another available resource is www.usaspending.gov, a site that details how government money is spent, what agency is issuing awards and who the federal government is buying from. While it can feel overwhelming at times, securing a government contract can be very lucrative. Be ready to put in the time and energy, and stay persistent in your efforts. For companies aspiring to become government contractors, there’s a lot to learn. But the benefits of government contracting are worth the challenge, creating new customers and accelerating your business to the next level.